• Thanksgiving is here - celebrate with us! It’s time to get voting! 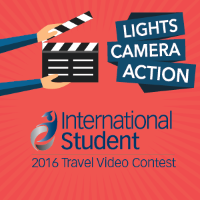 There may be a historic presidential election happening soon in the USA, but we are not talking about that - we are talking about our Travel Video contest! The Viewer’s Choice Award is voted for by you - so cast your vote today, and stay tuned for the announcement of the $4,000 grand prize winner during International Education Week later in the month! Thanksgiving is also quickly approaching, a big holiday in the USA, and we have a few ways in which you can celebrate with us. Who Should Win the Viewers’ Choice Award? There are a few days left to vote for who you think should win the Viewers’ Choice award! The Viewers' Choice winner will receive $1,000 and an automatic entry into the finalist round. Make sure you watch the video entries and cast your vote for your favorite. No Insurance & Medical Bills, What To Do? In the United States, there is no national healthcare system and it is the world’s most expensive country for medical treatment. 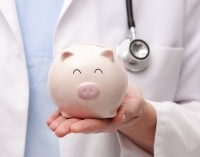 If you do not have a student health insurance plan, you will be responsible for paying all your medical bills. For some, this news comes too late as you may have expensive bills to pay! Find out what you should do if you find yourself in this position. Discount Student Flights: Whether you plan on traveling the world or just visiting home during your studies, our travel partner StudentUniverse has special offers for students. This means you can travel more and spend less! Search for flights today and keep exploring. Student Housing: Need help finding an apartment while studying in the US? With virtual tours and student reviews CORT can help you find a place to live near your campus. Student Furniture: Need to furnish your new apartment? CORT also offers student furniture including linens, coffee makers and other items you’ll need for the comfort of home. If you’re from somewhere warm and picked a cold place to study abroad then it’s time to prepare yourself for cooler weather! Get tips on how to stay cozy and still enjoy your time abroad when the temperature drops. Share Your Favorite Thanksgiving Dish! 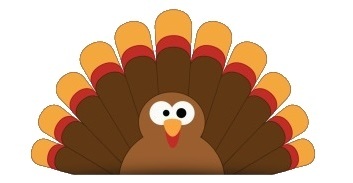 Thanksgiving falls on November 24th, and is one of our favorite holidays of the year! It’s a time when friends and family get together to celebrate - and eat! Many families spend all day cooking up a storm, featuring mouthwatering dishes that live on in memory. We want to know what your favorite dish is - share with us a photo and your delicious recipe! Don’t have a favorite Thanksgiving dish? Send us a picture of what you’re thankful for on social media! Whether it’s your family, friends, education or your pet rock- we want to know! 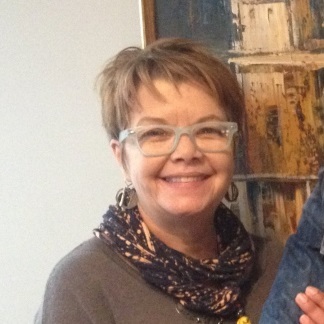 Say hello to our November guest advisor: Teresa Dettle from Global Language Institute. For over 15 years Teresa has provided students with individualized advice and action plans. Global Language Institute (GLI) is an accredited private English language school, offering high-quality English Language Instruction to youth, adults, and professionals through our Intensive English, Professional, Youth, and Special Group Programs for over 25 years. We are located in downtown St. Paul, Minnesota and in beautiful Boca Raton, Florida.